My heart and mind have been with the people of Egypt lately. While I was in the country, one of my favorite encounters was with a donkey-riding little boy. I found him (or should say, he found me) while visiting the pyramids of Giza. As I was taking in the sights and trying to comprehend the pyramids’ magnitude, it became apparent that I had a ‘shadow’ following me around. He didn’t say a word but followed my every move – all while aboard his trusty donkey. I finally approached him and a huge smile enveloped his face. He was so excited to talk with an American! He didn’t attend school, but instead spent his days at the pyramids with his father, whose job it was to lead tourists on camel rides. I gave my new friend a gift of what I thought was a simple stick of gum, but to him it was a great treasure. We eventually parted ways, but I later saw him huddled with another young boy - both chomping away on the bubble gum. -an overly-friendly Egyptian offering my travel partner 1 million camels in exchange for my hand in marriage. We didn’t take the deal because really, what would someone do with a million camels?? -riding atop a very tall camel through the desert and witnessing a camel fight first-hand. The guides said that didn’t happen often, but once was enough for me to want to get the heck off my camel! You haven’t seen anything until you’ve seen camels fall slow-motion to the ground after attacking each other. Trust me. 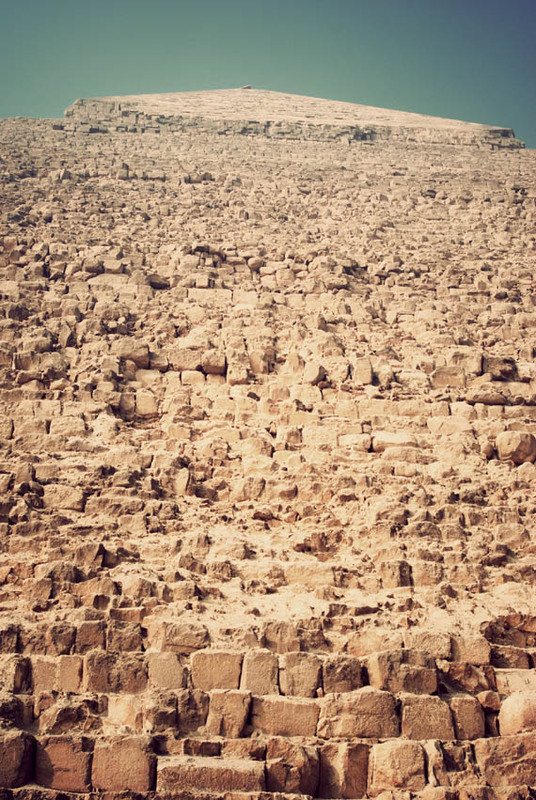 -oh… and seeing the pyramids and the Sphinx in person was pretty incredible! !